As our first semester is coming to a close soon, make sure you are aware of our schedule for final exams on January 23-24. Please see attached schedule for details. As a reminder, Friday, January 25th is a student free day. Second semester begins on Monday, January 28th and all students must report to the Cafeteria/MPR to pick up their new schedules. Schedules will be available for pick up beginning at 7:00am that morning. Student ID cards must be presented in order to pick up schedules. 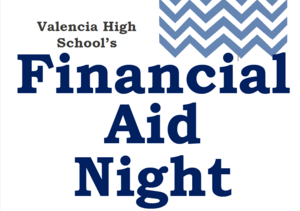 VHS will be holding a Financial Aid Night to work through the Financial Aid process with families in both English and Spanish. Don't forget, all Financial Aid Applications are due by MARCH 2nd! Tigers, do you want to learn more about what is required to get into college? Tiger University will be hosting a College Entrance Requirements workshop, on Monday, December 17th at 7:30am or 3:00pm in the College and Career Center. Come to find out more about what steps you should be taking in order to be eligible for a 4 year college. Parents and students are welcome! Seniors, are you planning to attend a private or out of state school? Do you need assistance with the Common Application? Tiger University will be hosting a Common Application workshop, which will go over the application process and address any questions you may have. Join us on Monday, October 15th at 7:30am or 3:00pm in the College and Career Center. Parents and students are welcome! Homecoming Tickets are on sale now! 9/10-9/14, $55 with an ASB and $70 without. 9/17-9/21, $55 with ASB and $75 without. 9/24-9/28, $65 with ASB and $75 without. 10/1-10/5, $70 with and ASB Sticker, and $85 without. The Homecoming Dance is on 10/6 at the Pomona Fox Theater from 7:30 - 11 PM. 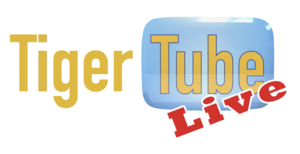 Check out the new Tiger Tube Live Stream! "Select live events from Valencia High School may be streamed on our new - student run -TIGER TUBE LIVE channel. Check for announcements and access our channel by clicking the TIGER TUBE LIVE logo at the bottom of our home page. Look for athletic, arts, academic and other events soon! Seniors, do you need help navigating through UC and Cal State Applications? Do you want to learn more about the application process and what it entails? Tiger University is kicking off the year with a workshop on the UC and Cal State Applications. Join us Monday, September 10th at 7:30am or 3:00pm in the College and Career Center! Parents and students are welcome! For more info, please see below for flyers of the three ROP Pathways offered on-site at VHS.